No city in the world holds up to the delights of Shanghai! No city in the world holds up to the delights of Shanghai! For more than 150 years this city has held curiosity for the Westerner, and many have flocked here to know why is it so intoxicating. Shanghai is pure magic; a place not only in China, but superior in quality of life and attraction to any newcomer. It is of no wonder that Shanghai has an official population of 18 million people and another five million whom are just migrants. A wonderful spot on earth to work, walk, enjoy the mixtures of architecture and fall in love with peoples of all races. Shanghai always held something special, but it came back into the scene when China opened up to the rest of the planet again. Come to Shanghai not only for the food, but to bask in the modern engineering miracles of this place. For me, my delight was when I first explored this grand ol’ place in 2010. I just didn’t want to do the touristy thing. I was not only interested in the Shanghai Expo, which held an official capacity of visitors between 70 to 100 million between May and October of that year. (With 300 buildings and pavilions distinguishing themselves from all over the world, Shanghai was the center of world culture with the Expo. 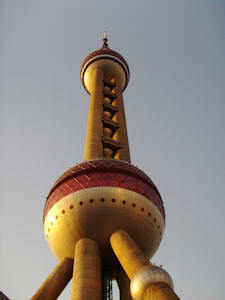 But Shanghai was always a center of world culture, for it offers many Shanghai Delights: thousands of fascinations. In Chinese history, Shanghai was the dream to be made into a city of the future, and little by little it has achieved this. Currently, Shanghai holds the top spot in several categories. It has four of the tallest buildings in the world, including the Pearl Oriental Tower, a must and first visit when entering the city. An easy access from Pudong International Airport, with Shanghai, sincerely you don’t need a taxi. It’s very easy to get around in subway, plus the city has the longest-underground train system in the world. Covering more than 240 kilometers of track! If you continue into the city, it is not that hard to internalize how impressive this place really is! Right now, Shanghai also has the Maglev Train System from Shanghai to Guangzhou, and if you don’t understand the meaning of this, well now, it’s special: the Maglev is the fastest train in the world at 431 kilometers per hour. Most arrivals into the city come from Pudong Airport or Shanghai South Station. The latter is for all the buses that arrive into the city. It’s a long distance service and once inside Shanghai you can take line number 3 and change to line number 2 to get into the centre. Line 2 will get you into the Pearl Oriental Tower. Lujiazui is the Station Stop, a quick walk up top and take a right. You’ll notice a 350 meter structure ahead. The Pearl Oriental Tower was first opened to the public in 1996, and people come from all over China, and the world, to enjoy the Tower experience. It is a real treat and a must when you arrive in the City! The best time to visit is before the summer crowds, and it’s only a 20 minute wait to get to the pinnacle. There are two elevators to the top and you will notice the mark on the glass at 350 meters and it’s easy to walk around. It’s a wonderful experience. But do not stay or pay extra for the food, it’s a buffet, and there is far better in Shanghai. Now, if you want to ‘kill two birds with one stone’, go to Nanjing East Road, and let me explain why! Within just two blocks from the subway station there is the Bund, a beauty in site of old-styled art-deco buildings and buildings from the late 19th Century. Old Shanghai is also here with the flavours of the Orient and Westernized concepts. For the older generation of Chinese it’s that feel of a classy city, to give them the memories of old/ancient China, and for the new generation it has a progressive and contemporary new style. The city appears to most people in four different ways: the ancient, modern, Chinese and Western ways. Holding itself again and again to the principles of good work, good living, great food and marvelous constructions, it is simply unique in China and like no other. So, for this New Yorker, I have to say, I was simply humbled! When I walked towards the piers, only two blocks away, it was to my amazement, the entire Shanghai Skyline, with the Pearl Oriental Tower and it was glorious to catch a glimpse of the Huangpu River. There are boat rides and a ferry system to get around. It depends how much money you want to ‘blow’ on doing this. 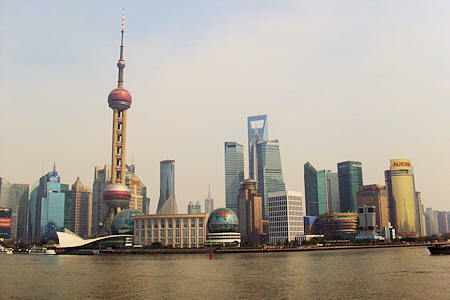 Boat rides range from 20 to 200 RMB, but once on the Bund side, boat rides are much cheaper. Your best bet is to go to the Shilupu Ferry Terminal, to get there; take line 2 since boat rides on the Skyline side are more expensive. On eats, once in Shanghai, just try everything; you have thousands of choices. Try the breads from the street vendors. Shanghai is just shining and vibrating with Shanghai Delights. There is energy everywhere! I noticed beautiful women and handsome men fashionably dressed standing in line to take the bus. The city felt elegant and many Shanghainese hold themselves to an upper-moral-standard of style and behaviour over the rest of China; Shanghai is absolutely different. For the most part they are in a rush to get where they are going, but without exuding the rudeness of my city, New York! Some walk elegantly with their pets in tow, and truly it is a wonderful site to see! Sometimes even funny! Shanghai has other important sites to enjoy before leaving. Start with Yuyuan Temple. It’s easy to get there; take line 10 and get off on Yuyuan Station Exit and you are there! One thing is important to bear in mind: go with enough time and patience. This area is crazy, since it’s a tourist area with many vendors all around. Once you go inside, it will be a little better and please take your time in peace. 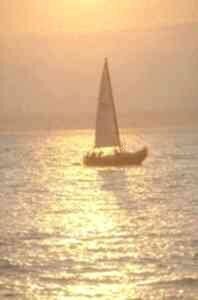 For temples, I at least like to remain between 90 minutes to two hours; I like to see everything! Another must-do, is the Longhua Temple and Pagoda. Elegantly decorated, it is the place to be for its inner gardens and entrance. The Temple and Pagoda is a 10 to 15 minutes walk from the Subway Station. How to get here? Take line 3 until reaching Longcao Road Station, the exit is number 1 and then, walk to the Temple. In my opinion, your first visit to China must be to Shanghai. It’s a higher city in standards of modernization. However, it is important to realize that Beijing holds the importance and history to China. But I still suggest starting with the Shanghai Delights! If you enjoyed reading the above article then you will probably also enjoy Calcutta, also in Asia, and our latest articles covering the Orinoco Delta, La Mata, Marbella and Beijing.